pimatic is a home automation framework that runs on node.js. It provides a common extensible platform for home control and automation tasks. It defines several schemata for different home devices and sensors, so that all devices can be controlled uniform and are presented in a common interface. Automation tasks can be defined by rules in the form of "if this then that", where the "this" and the "that" part can be fully custemized by plugins. See the rule page for more details. The mobile frontend plugin provides a nice web frontend with a sensor overview, device control and rule definition. The web interface is build using express and jQuery Mobile. pimatic is extensible by various plugins adding features and integrating existing hardware and software. You can either check the instructions on the Pimatic website http://www.pimatic.org/guide/getting-started/ or follow these steps. Then write this image with this tool Win32DiskImager to your SD-Card. Now you are ready to start pimatic for the first time! There are three ways to start pimatic generally. For the first start i recommend to use option 3 since Pimatic will do some compiling and setting up things. this may take a while, so you are able to watch the debug outputs on the console screen and see what Pimatic is doing actually. If you run sudo "service pimatic start" you won't get any debug messages since Pimatic will run in the background. Please update your overview thread. @Dheeraj Fantastic! Pimatic seems great, especially since it has support for pilight. A real cheap all-in-one solution for those that still want to use their old 433MHz devices and keep adding mysensors modules. I received error messages like syntax error. let me the exact error msg. 15:18:18.848 [pimatic, npm] ERR! 404 'pimatic-MySensors' is not in the npm registry. 15:18:18.955 [pimatic, npm] ERR! 404 tarball, folder, or http url, or git url. 15:18:18.986 [pimatic, npm] ERR! command "/usr/local/bin/node" "/usr/local/bin/npm" "install" "pimatic-MySensors"
15:18:19.312 [pimatic] Error running "npm install pimatic-MySensors"
Since i haven't register mysensors with npm. that's the reason it is giving you the error. As a work around try download & manually installing pimatic-MySensors in node_module in pimatic-app folder.. Here other plugins are also installed like Pimatic-mobile-fontend etc.. Pimatic should be able to pick it up.. I will try to fix this issue meanwhile. Let me know if it's works. 13:46:49.289 [pimatic] no plugin found for device "Switch" of class "MySensorsSwitch"! 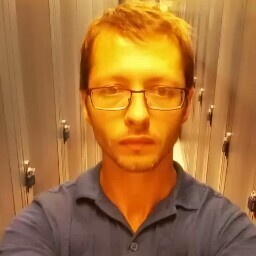 13:46:49.305 [pimatic] no plugin found for device "PIR" of class "MySensorsPIR"! give me sometime will fix this issue. It worked now, but I had to change the ttyUSB0 to ttyACM0. I'm using the uno for the gateway. When we can expect more variables available to mysensors plugin? I miss a simple on off switch. This is my first try at getting MySensors to work. I've connected a SerialGateway to the Pi, and configured a DHT22 sensor. But no values are recorded. What can I be doing wrong? Seems like the sensor is requesting a node ID but not getting any? Thank you for any kind of response! Is possible to send sensor battery level info? battery sensor visualization is WIP.. I really like your plugin now that I finally managed to get everything working. But I would also like to use a BH1750 Light sensor with your plugin. I made a sensorbox with PIR to switch on lights for a minute when movement is detected, but I only want to switch on light when it's dark enough. Is it planned to add support for this? check the pimatic-daemon.log file and what kind of error exception your are getting . not sure if you have enable the "logLevel": "debug", in config.json for pimatic. Also, you need to add entry in device-config-schema.coffee schema file. if nothing works share the log file with me.. I'm also new to coffee or nodejs and struggled a lot understanding the coffee script , basically, still in learning phase..
@Dheeraj, I have been looking all day for how to configure static node id , meanwhile I heard of mysensors last night so pardon me if I didn't find the doc that explain it. Can you point me in the right direction? I am not familiar with linux, and I need help with instalation of controler on raspbery 2. I am done with OS instalation, I am using image NOOBS. And now I am not sure what next. @jurasek I found out that pimatic installation in the website quite general. for more details, you can use following link for the forum. Thanks, I have a pimatic runing now. I would like connect NRF24 directly to the RPI is this possible? How can I setup mysensors plugin for this? @jurasek connecting NRF24L01 to RPi directly is possible you will find good amount of references if you search this form. Any info about how to setup a pulsecount sensor? 20:32:05.069 [pimatic] warn: no plugin found for device "Light1" of class "MySensorLight"! kindly change the "class" name as "MySensorsLight" . please note it has a 's' in between. frankly, i couldn't check pulsecount using actual power meter. although i can simulate it . It's custom made according to my need. I can modify it as per http://www.mysensors.org/build/pulse_power build easily. currently it only supports "V_WATT" message. Do you have any example for how you are configuring it? I have made a node with the "original" sketch and configured it with sensor array [0,1,2] in pimatic. I see the device, with parameters w/kw/kWh but no info comes in. Are you using a custom sketch then or how is your setup working? @Dheeraj maybe you can fix the example here for lazy eyes/asses like me. I just copied and paste and didn't notice the missing "s" Thank you so much for the quick support and the great plugin. since i don't have home laptop with me. otherwise , i could have shared the custom sketch with you. but what i remember is that it sends V_WATT message with wattage usage and calculate KW and KWh ( still broken ) at controller end ( pimatic ). meanwhile, i'm fixing the pulsemeter code which will be compatible with actual sketch, wait for 1 or 2 days. Also, we will be able to see battery status (optional) with sensor devices. Yesterday was great update (0.8.14). Now battery level is connected with device as regular attribute. Great job, @Dheeraj! Thanks a lot! newer version (0.8.15 ) of plugin release . support Acronym for devices . improves user experience. @Fredrik-Carlsson please try it, please notice me if you find any bugs. haven't had the opportunity to test yet. Could you tell me which commit was connected with 0.8.15? I am little bit confused because your github is still contains 0.8.14 but it looks newer when 0.8.15. @Mad-Moo latest code 0.8.17 is pushed to github. now everything is sync. Hello. I have had a hard time testing this. Is the future for the pulsesensor implemented in 0.8.17 official plugin? Is there any chance in the future to support the ethernet gateway? It would be great if we could connected simultaneously to a serial and ethernet gateway from the same pimatic server. so we could cover remote places..!!!! New version of plugin available. 0.8.21.
and a video to showcase its capability..
Nice! One question: Could you maybe disconnect your repository from pimatic-plugin-template? With the fork connected its hard to fork. @Oitzu sure will do it need some time..
Is there a way to have an "ordinary" button in pimatic (not on/off)? Something I press only? This on/off switch works (everytime I switch on or off it simulates on button pressed on my optocoupler), but it is not really what I am looking for. Is there some code for a momentary button in mysensors? The relay code I am using works great. I adapted in a way that it swtiches the optocoupler on and 50ms later automatically off. Works great, but I was wondering if there was a more elegant way to do it. If there is no code for a momentary button for pimatic, where would I start looking if I'd want to contribute code? 1.) Yes there is a ordinary button in pimatic. The base-class is called "ButtonsDevice" if i remember correctly. 2.) The MySensors Plugin also seems to implement this. 3.) Depends at which point you want to contribute code. Make also sure to read the howto @ www.pimatic.org and visit the forum forum.pimatic.org. @karl261 using ButtonsDevice as mentioned by Oitzu, you can achieve the point no. 1 . non off/on switch..
for point no. 2 you can use pimatic IFTTT rules to control (*hidden * relay switch button) moreover you can switch off optocoupler after 50 ms using rules. if you have some special requirement you are welcome to contribute..
Hi guys. Thanks for the replies. This seems to work. I created a button and made a rule "if button XY pressed then toggle AB". So I suppose I leave the relay device as is, just remove it from my pimatic page (out of sight) and move in the button instead. IS that right? Hi there, I have problem that appears recently. I hope somebody can point me in the right direction. Suddenly out of nowhere pimatic stop transmitting/receiving. Just like this. No error message. Pimatic frontend working finde. But no data going out to or coming in from the serial gateway. I checked all logs: Nothing. I re-started pimatic: No success. All logs normal. I restarted the pi2: Nothing. All logs normal. I unplugged/replugged the arduino nano: Nothing. No success. Then I shutdown the pi2, I pulled the power cable, I put it back in and voila: Everything worked normally. Still nothing in any logs. Unfortunately, now about 24h later, the same issue. What can I do? Why was it running perfectly for two weeks? I changed back to a super simple pimatic config with just one device, but still the same issues. What to do? Please advice! Hi there! Spontaneously i have no idea what could be going wrong, only chance is to narrow down the problem. Based on your writing i assume you are using the serial gateway to interface with the mysensors network? Did you try to enable the debug output in pimatic? You could try to stop pimatic, detach usb, attach usb and look directly with screen on the serial device what the gateway is doing. Then nothing else. No signal recieved, even if I now my sensors are sending, but also, when I am sending something via pimatic, no send message. @karl261 maybe a defect nrf24 module? The serial connection to the nano seems to work and should normaly show received messages. Do you have any spare modules laying arround? @Oitzu that is possible. And also weird. It was working for three weeks without problem. Is there no way to get an error message from the nrf24? Why does it work after unplugging the pi? Why does it not help to reset the sub bus, which should power cycle the nano and the radio module? Well i can only guess whats the problem or whats the reason to it. A faulty device can fail at the first day or just after 3 weeks. The mysensors libs will check at start time the communication with the nrf24 module. If the communication don't work it will give out a "check wires" instead of the "Gateway startup complete.". Maybe the difference between the full power cycle and the nano power cycle is the duration of the power cycle? I can guess that the full power cycle left the nrf24 module for a longer time without power? A longer power down of the nano would result in more time for the caps to discharge? @Oitzu thanks a lot for your help. I appreciate it. which should power cycle the usb device I do not see anything in the screen session. Which means that the arduino nano was not power cycled. So, what does it mean? I don't understand. Maybe there is something wrong with the pi's USB hub? Which is only reset when I pull the plug? But then the wifi should also not work, because it is sitting on the same USB hub. Is there any other place I could ask for help? BUT: Still the thing is not sending receiving anything. WHY? Tried to extend the sleep between power down and up? Yes, I also tried with 30 seconds. Longer? Well.. i think you can't lose anything. Will be hard to debug after that without access to the actual hardware. I see that it is looping though the loop function, but I actually see NO ouput from this function. What does this mean? That there is actually no radio connected? Wouldn't it say something like "no radio" or so? Do you have MY_DEBUG_VERBOSE defined? Good point. I had not, now I have. But still, there is absolutely 0 output from this. The only message I see is the "Gateway startup complete" stuff. I use Pimatic for more than a year now and I am using the Mysensors plugin 0.8.21 for more than 4 weeks now. I use a serial gateway based on a arduino nano and a NRF24 radio. I have already several sensors running without troubles and it appear to be stable. What I see from your information is that the serial gateway is communicating, but seems to recieve nothing from your sensors. If you can see on the PI that your gateway is started up, then the PI is able to recieve the information. serial monitor in the Arduino ide. This is also the way to test your sensors. In the serial monitor you can see if they are connecting to the gateway and sending information. After using OpenHAB for quite some time, I've made the transition to Pimatic. I've got a pro mini 3V running on 2 AA batteries with a DS18B20-temp-sensor. I would like to be able to display the battery level but am having some trouble. I combined the temp and battery sensor into 1, but the battery status isn't being analyzed properly. When I restart the node it transmits a value of 12 and shortly after that a value of 0. Is this related to pimatic and the format in which it receives battery data or is it simply a fault in my code? // Startup and initialize MySensors library. Set callback for incoming messages. @BastienVH . check few things first. hardware wiring is correct and as per mysensor guide. what debug value "sensorValue" you are seeing on serial console if you debug your sensor node. I feel so stupid now... I built this circuit on a breadboard and after fiddling around with it yesterday, I forgot to place the resistor for the battery in the right pin. It was now on a different row. Saw it and fixed it. Now I get a battery percentage in Pimatic! @karl261 Do you have any news ? Which raspberry pi are you using ? PI 2 ? I experienced the same issue with domoticz on raspberry pi2 + serial gateway with RFM69 radio. I really don't think that the issue is the controller. It seems that the radio is stuck cause when I debug my node after reset, all outgoing messages are marked with st=fail meaning that radios can't reach each other. I don't know if it's my chinese arduino nano or raspberry pi 2 usb power or my radio module. Investigation in progress. Something a reboot is not enough, I have to disconnect usb cable in order to make it work again. I think my serial gateway was somehow badly connected. During the past weeks I verified everything, re-soldered, tested various power supplies and radio modules, etc. Now it seems to work usually stable. But not always. Now I am playing around with increasing the sending power of the radio modules. I am using a pi 2. Interesting, your problem sounds very similar. Unfortunately I do not really have any advice. Maybe try to build a duplicate and see if this works better? @karl261 My issue seems solve using capacitors on my rfm69 radios. I installed Pimatic and it looks work just fine. In the Config menu I added the codes below. Saved and restarted the Pimatic. I see "Light Unknown%" on the frontpage. @fahrettine How does your sketch look? Does pimatic receive anything in de log? 2-I installed Serial Gateway on the Arduino Nano. 3-I installed the Light sketch from MySensors on the Nano. Pimatic logs look like below. It seems it doesnt receive any signal. Are my USB port settings coreect? You can see MySensors plugin settings above. You may want to double check that config. if, ttyUSB0 is your connected arduino nano. I plugged the controller and light sensor on my pc. The controller receives and the sensor transmits signals. So, the hardware is OK. I changed the USB setting as "serialDevice": "/dev/ttyUSB0"
Because I am new on RPi I cant set the USB corectly. What is my USB port? USB0 or USB1 or other else? Oitzu thank you very much. It was the nodeID. I set the nodeID to on the sketch to 15 and the problem solved. The relay doesnt work!!! Any idea for the problem??? When I turn the buton On/Off I can see the sending messages on debug. check whether you received any message ( serialport output ) on relay sensor node. I've seen the "protocol" line. Is it suitable for 2.0.0beta sketches ? @rollercontainer the plug-in works fine with 2.0. You dont have to change the protocol value in the plug-in. Is there any development of this plugin?